When something of natural beauty and community value is lost it can be hard, even impossible, to bring back. 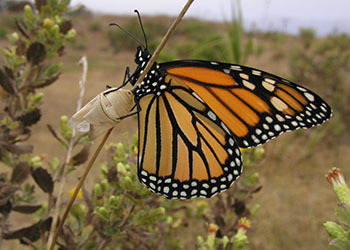 Understanding that reality, many people in Carpinteria have worked with passion and persistence to see that long-valued natural and public resources were protected, even as the city doubled in population since 1970 and saw agricultural and commercial and governmental development expand. 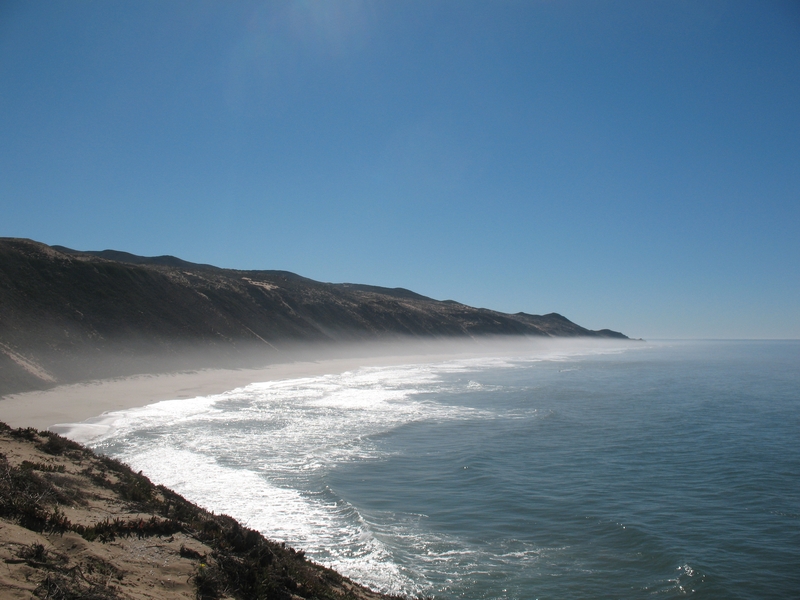 The people power of Carpinteria’s residents, government leaders and agencies, and non-profit partners has done so much: Rallying to buy the Carpinteria Bluffs. Forming Carpinteria Seal Watch to protect the harbor seal rookery and manage public viewing with volunteers; Securing major portions of the Carpinteria Salt Marsh to restore damaged wetlands, improve water quality and offer educational public access. Collaborating to bring back Steelhead salmon to Carpinteria Creek. Building a great system of community parks and trails. One local resource lost over the years was a trail near Franklin Creek that historically linked the valley floor to the Los Padres National Forest network of hiking, biking and equestrian trails. Access to the backcountry was lost a number of years ago when permissive use over private properties ceased to exist due to the changing character of land ownership and the intensification of agriculture in the valley. The volunteer committee Friends of the Franklin Trail stepped up to lead a community partnership to get the Franklin Trail rebuilt and reopened. The Land Trust is the non-profit project sponsor, partnering with “Friends” to help with planning, permitting and construction management. In 2011, Friends co-chairs Jane Murray and Bud Girard and a talented volunteer team spearheaded public outreach and fundraising that brought in $295,000 in community donations and foundation grants for the design, permitting and construction of the Franklin Trail. 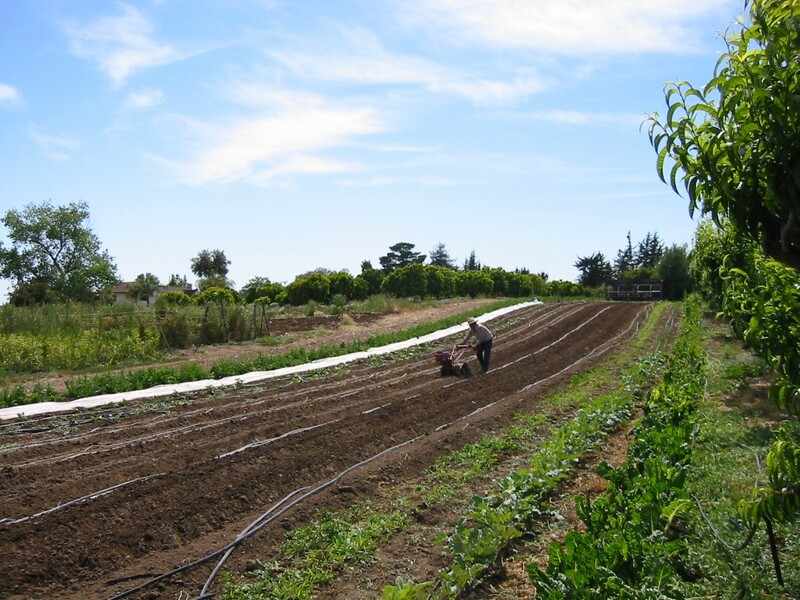 In 2012, the County Board of Supervisors approved a grant of $75,000 from development mitigation fees, and the Land Trust secured a $200,000 state environmental enhancement grant. All of the funds needed for the project have been raised. hile not impossible, it is tricky and expensive to bring back a trail that runs along or through existing neighborhoods, a public high school campus, creek banks and flood control berms, private avocado orchards, and up a mountain featuring plants and animals protected by the law. Friends and County Parks tackled the challenge of negotiating new or relocated legal agreements for the trail from three ranch owners and the Carpinteria School District. The first phase of the Trail, 2.25 miles starting near Carpinteria High School, opened on November 1, 2013. 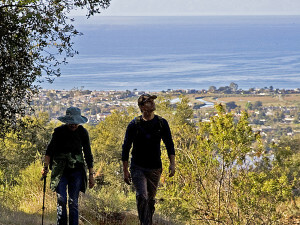 This short first segment of the trail was particularly costly due to the need to install a 65-foot pedestrian bridge across a tributary of Franklin Creek, several retaining walls, plus fencing and electric gates to provide security where the trail runs along the Carpinteria High School campus and through a private avocado orchard. An informational kiosk and native landscaping to beautify the trail entrance were installed on the campus. 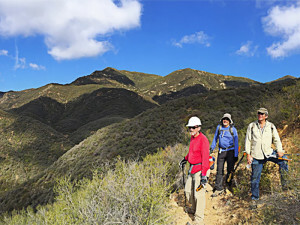 With the first phase built, the Franklin Trail team will turn next to work with the owner of Rancho Monte Alegre and the U.S. Forest Service to see the trail opened across the remaining five miles to the peak of the Santa Ynez Mountains. 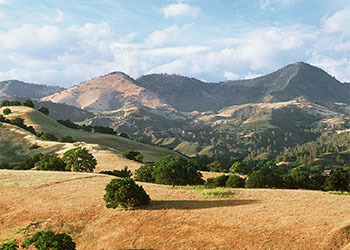 From there the trail will connect to East Camino Cielo and to the existing back country trail system along the Santa Ynez River. This second phase of the project is expected to be open in late 2014 or 2015, after needed landowner and regulatory approvals are secured and more money is raised to restore the historic trail route. This trail is designated by the County as “multiple use,” that is available to hikers, bike riders, and equestrians. The trail will be closed to horses and bikes until January 2014 to allow for rainfall and foot traffic to help compact the loose trail tread. The trailhead is located at the end of Sterling Ave and Meadow View Lane, at the north end of Carpinteria’s Franklin Park.